Trust me on this one. It may sound like an interesting combination, but it’s delicious. It’s my second morning making it for breakfast. If using frozen fruit, heat in microwave for about 45 seconds to soften fruit. Add to blender. Top with lime juice and protein powder. Finally, add carrot juice and coconut milk. *I usually make my breakfast smoothies in the evening and store in the fridge so I can grab and go in the morning. Works really well! 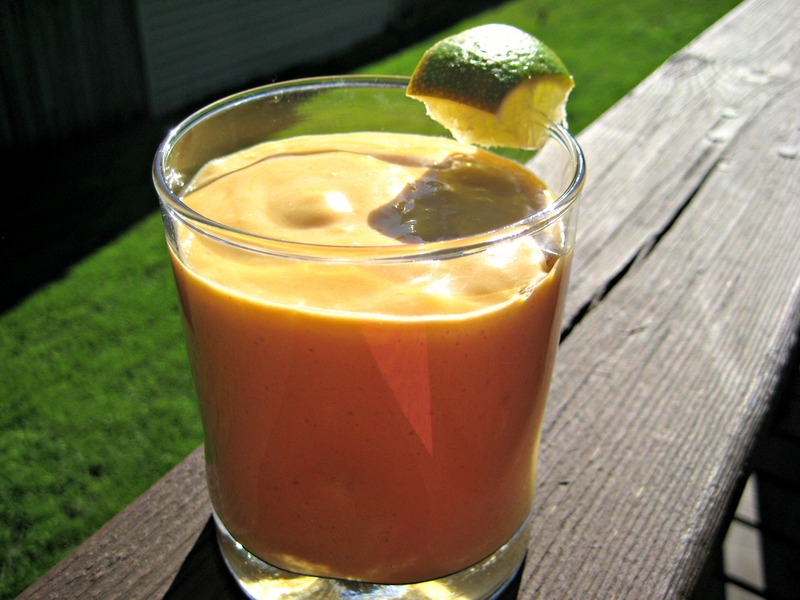 This entry was posted in Allergen-Free, Beverage, Gluten-Free, Smoothie and tagged carrot juice, coconut milk, fresh pineapple, frozen mango, full fat, lime juice, protein powder, Sunwarrior, Tropical Carrot, vanilla protein powder. Bookmark the permalink.